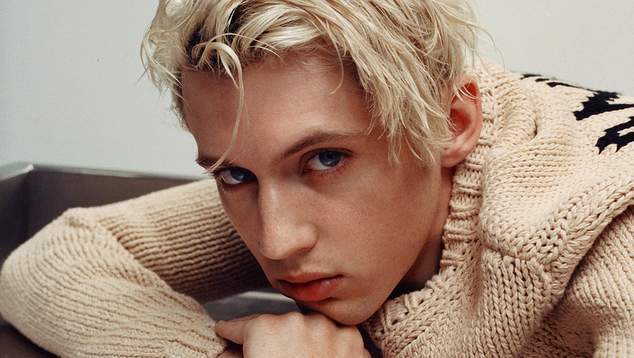 Troye Sivan’s highly anticipated second album Bloom will be out tomorrow, OUTinPerth had a one on one chat with the musician about the new record. Your previous record touched on the topics of love, this album seems to be a lot of sexual. Was that something you were deliberately trying to do – make a more grown-up sounding record? Not intentionally, I think i just sort of grew up a little bit in life. Also I think with my first album I was a little bit conscience of trying to keep things maybe a little bit milder in an effort to not alienate anybody. With his one I just wanted to do away with that and make an album that spoke to me and people my age and talk about real experiences that I’m really going through. On the track Seventeen, you talk having a hook-up when you were younger with someone older. Reflecting back on stepping out into that sort of space when you were growing up, what would you say to someone who was that age now and was taking their first steps into that kind of world. I would say the be careful. Be smart. Take your time. I think one thing I remember really vividly at tat time as being in a big rush and looking back on it now it wasn’t one hundred per cent necessary. Tell about the video for Bloom, because you look having a lot of fun in that clip, but it really is challenging gender stereotypes. Yeah, right, I think the big sort of theme visually for me through this album out this to shed any hang-ups I had from growing up in the closet. Asking myself what feels fun to me, and then answering that honestly to me, and not holding myself back. It’s been a real challenge at times, it’s scary and I was pushing myself out of my comfort zone, but only because it felt like it was what I wanted to do. I always end up on the other side of those experiences glad that I did. What are biggest misconception people have about you? Maybe that I’m like… because I started online, people automatically think that I’m a super-public person. When in reality I really cherish my private life, and keep my relationships and my family and friends and partners super close. Read our whole interview with Troye Sivan in the September edition of OUTinPerth magazine.